Having founded the bank that became the most powerful in Europe in the fifteenth century, the Medici gained political power in Florence, raising the city to a peak of cultural achievement and becoming its hereditary dukes. Among their number were no fewer than three popes and a powerful and influential queen of France. Their patronage brought about an explosion of Florentine art and architecture. Michelangelo, Donatello, Fra Angelico and Leonardo are among the artists with whom they were associated. Thus runs the ‘received view’ of the Medici. Mary Hollingsworth argues that the idea that they were wise rulers and enlightened fathers of the Renaissance is a fiction that has acquired the status of historical fact. 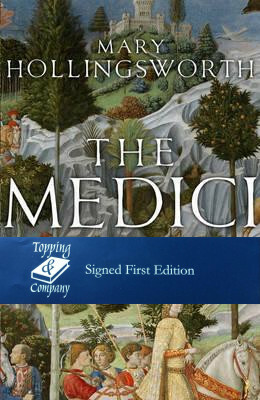 In truth, the Medici were as devious and immoral as the Borgias – tyrants loathed in the city they illegally made their own and which they beggared in their lust for power.